Flexible, simple, efficient - that is our demand on QUIQQER. The new version 1.2 Brilliant Brumby is also designed for this. It brings new template settings, optimized caching performance for faster display of your pages, better overview of rights in the CLI and SEO optimization. You want to use Bootstrap, jQuery, Angular or other frameworks? With QUIQQER 1.2 this is no longer a problem. We have equipped the new version with a compatibility layer. So you can use all QUI Controls also with other frameworks. 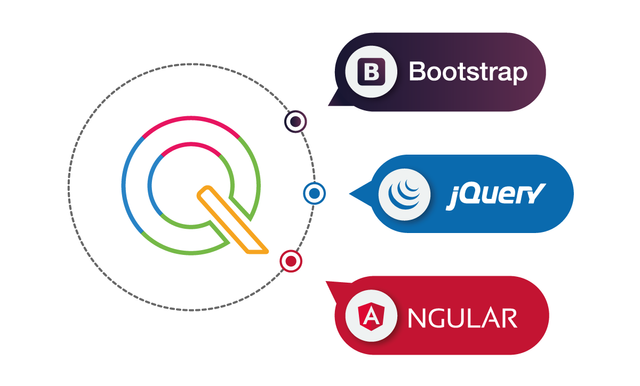 Templates that are implemented with Bootstrap can now be migrated to QUIQQER. This also applies to Angular, Vue.js, Polymer or jQuery. This will save you a lot of time and work. Just take your project with you to QUIQQER. You can now save your settings in QUIQQER 1.2 at lightning speed. We have completely checked the caching performance and optimized the file caching. Now there are hardly any delays when saving. Projects with a lot of pages (> 10.000) are no problem anymore. Websites with long loading times annoy your users. 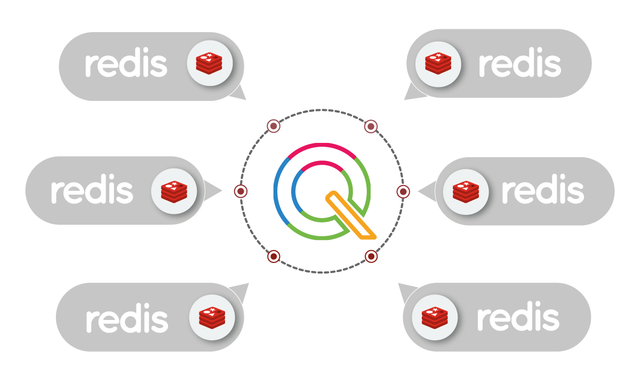 To make your offer even faster, the new QUIQQER version already supports Redis as caching server in the QUIQQER-Core. Redis is an open source database server (BSD licensed) and is an in-memory database with a simple key value store database structure. Redis belongs to the family of NoSQL databases (so it is not relational) which can be used as database, cache and message broker. You can find all information here: redis.io. The new QUIQQER version gives all system admins a better overview of the permissions. 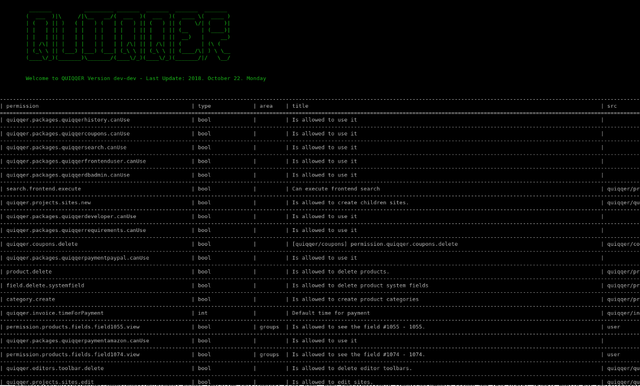 Furthermore, you now have all QUIQQER permissions at a glance. Additionally we have added a search function to the permissions. You can have the permissions of groups and users displayed in a formatted view. The same applies to individual access rights. 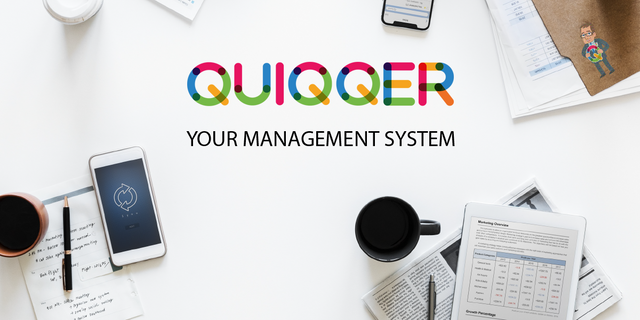 With QUIQQER Brilliant Brumby you can manage your group and user permissions easily, quickly, clearly and according to the needs of your project. So that your QUIQQER project not only looks great and runs fast, but is also always found, we provide a change to SEO optimization with the new version. This is especially interesting for all those who maintain a project in several languages, such as an online shop, an information portal or other services. After all, your readers or customers should come directly to the information relevant to their region. The meta specification "hreflang" ensures this. In QUIQQER 1.2 each page now uses this meta data for itself and not only for pages in other languages. Such Self-Referentials does not degrade Google's ranking. That's why we have integrated it directly into QUIQQER. As always, the faster your users get to the information they need, the more likely they are to come back. 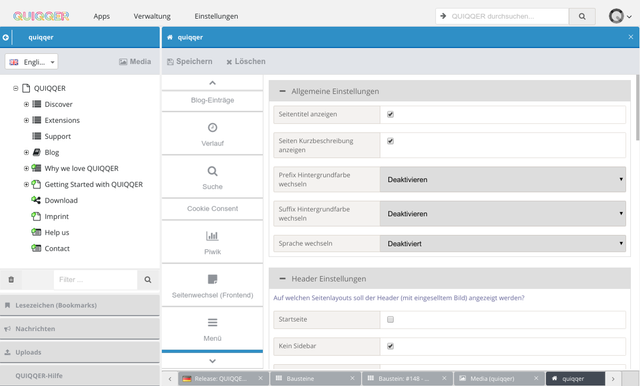 QUIQQER is an uncomplicated, free content management system (CMS) with an open source license. With QUIQQER you can quickly and easily implement your projects - no matter if web services, company pages, blogs or internet portals. Thanks to the modular structure, you can adapt the system to your needs at any time. QUIQQER is designed so that even inexperienced users can quickly implement their first projects. You don't need to have any programming knowledge. Editors concentrate fully on their content and benefit from the fast backend, the comfortable media area and an individually configurable workspace. QUIQQER is particularly flexible for all decision makers. Whether website, online shop, individual web services or invoicing system - the system grows with your decisions. Already in the basic system you profit from the responsive design, the optimization for WebApps, the flexible and modular structure and the integrated SEO optimization. Problems are already solved in QUIQQER. Everyone benefits: decision makers, developers, administrators, accountants, marketing experts and editors can concentrate on the essentials. Congratulations on your new version. 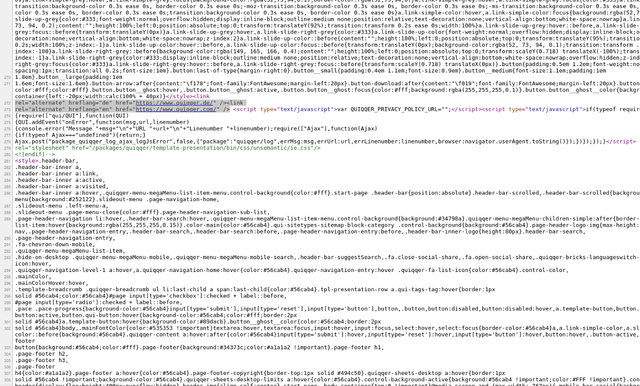 I've never used Quidder, but will now definitely consider it the next time I need a CMS. Overall, this is a fine post, informative though succinct. I did have one significant issue where I think future posts can be better, however. You only get to what the app is near the end of the post. That can be alienating to readers who aren't already familiar with the project. Blog posts work best when they're readable by a general audience. If you start with what the project is about, the rest becomes optional for folks who care about the technical side. If you start with the technical stuff, as you did, those readers will bounce off the post. Oh, sorry I misnamed your project!